Who has been responsible for the overall strategy of your business? As small business owners who wear many hats, by definition, it’s been YOU! 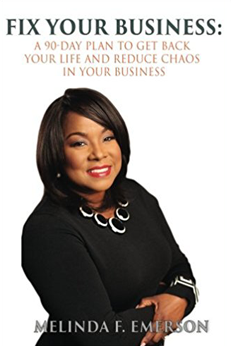 I received an early review copy of Cynthia Montgomery’s book The Strategist: Be the Leader Your Business Needs recently and wanted to give you an early heads-up about the book which is scheduled for release April 24, 2012. So who is Cynthia Montgomery, and what can she tell small businesses about strategy that will help them grow? Cynthia Montgomery is the Timken Professor of Business Administration and past head of the Strategy Unit at the Harvard Business School. Not only that, but she’s led the school’s Owner, President, Manager Program that is attended by leaders of mid-sized companies from around the world. In fact, it’s this experience with executives that inspired the writing of this book. You can just imagine the real-life experiences and stories that she’s had to deal with over her 20 years of leading this program. And it’s this experience that makes this book worth reading. While The Strategist is not a long book (my review copy has just over 163 pages) it is packed with brain busting information. This is not a feel-good or entertaining read. This is serious stuff. Think about it – it’s written by a Harvard Business School professor who teaches executives strategy and leadership. It’s heavy duty stuff. Don’t let my preceding paragraph scare you. My intention is to tell you that Montgomery is sharing big and important information for businesses. 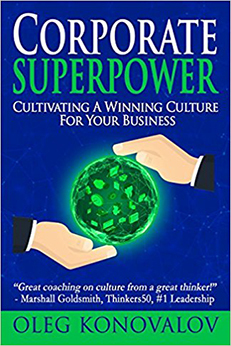 In this book, she seeks to communicate an important message to business owners – you CANNOT delegate strategy – to an MBA, to a consultant, to ANYONE. As the business owner, this is your baby. If you are a numbers-driven person with strong analytical skills, you will eat this book up with a spoon. It’s loaded with charts and graphs that show you exactly how to look at strategy and make strategic decisions. Don’t worry all you people-centered data-haters (yes, I put myself in this category) , you’ll get it too. I actually had to take a little extra time with these sections because numbers don’t come naturally for me and I really wanted to “get it”. Can’t afford to pay for Harvard Business School or don’t have the time to take away from your business? Don’t worry. Get this book instead. It’s the course and all it’s lessons in a short book. It’s not exactly easy or fun to read. I like to say that this isn’t a “snuggly” book. It’s a serious book that you will want to consume a chapter at a time, take notes and maybe collect some additional information. 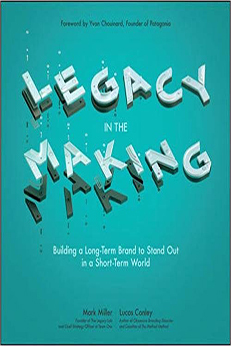 Strategy is something not to be taken lightly and that is the overarching lesson that Montogomery communicates between the covers of this brilliant book. Pick up your copy of The Strategist and start taking on the leadership role in defining where your business will go and how you’re going to get there.